Since I started eating 6-7 meals a day, I’ve been looking for a lunch box that would make it easier to bring food to work. I typically bring 3-4 meals to work every day and that doesn’t fit in your typical bag. For months I’ve been using reusable grocery bags, but I wanted something that was a little more organized (and looked a little nicer). 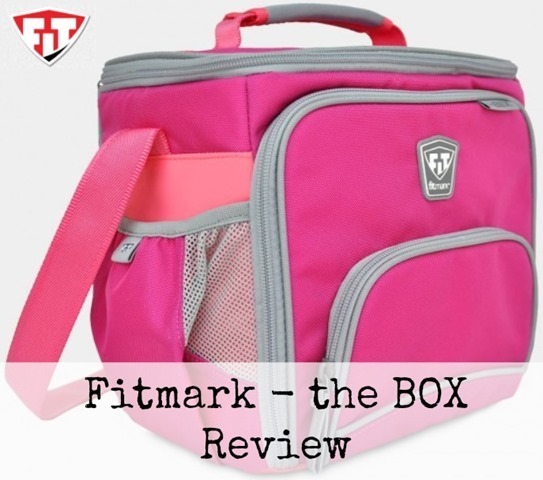 Lucky for me, the folks at Fitmark reached out in December and asked if I would be interested in trying one of their #nicebag offerings. After looking at what they had to offer, I knew I wanted to try one of their meal management bags. Originally, I picked out the BOX LG, since it holds 4 containers. When I got that bag, I decided it was a little too large for me (I’m a small girl!) and was worried I wouldn’t use it every day. I swapped out my #nicebag for the BOX (standard size) and am so glad I did! The BOX officially holds 2 containers, but when I use my own Tupperware I can easily fit 3 small-medium containers in one side. If I move back the divider, I’ve 3-4 large & small containers in the bag. It’s the perfect size for bringing my meals to the office every day. Last weekend, I decided to use my #nicebag to bring my meals to the mountains. I brought a total of 6 small meals packed in different sizes of Tupperware – 2 breakfasts, 4 snacks, 6 quest bars stuffed in pockets, silverware, & two cool packs. Not bad for one bag! I haven’t tried out the shaker bottle yet, but it’s a pretty cool design. 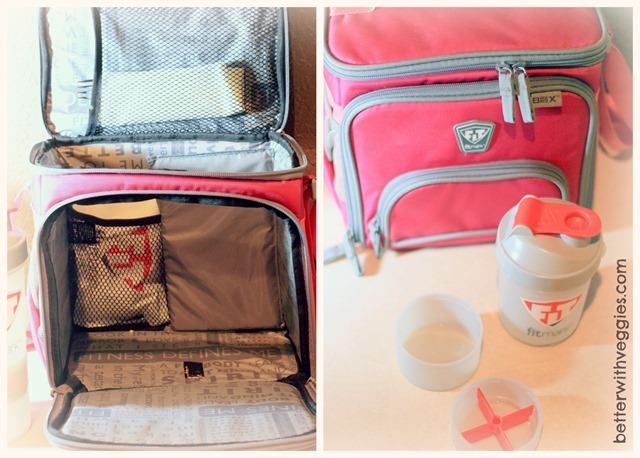 Underneath the normal bottle, there are two removable compartments for powders and a supplement divider. I plant to take advantage of that this weekend when we head back to the mountains, since I plan to use the gym this trip. It will be great to have a space for my Amino powder, instead of using plastic bags. Would I buy this with my own money? Absolutely – I really love this bag! It’s the perfect size to use every day, plenty of space (without being too big), it seems to be well constructed (although I’ve only used it for 2 weeks), and it looks much better than my reusable grocery bag. 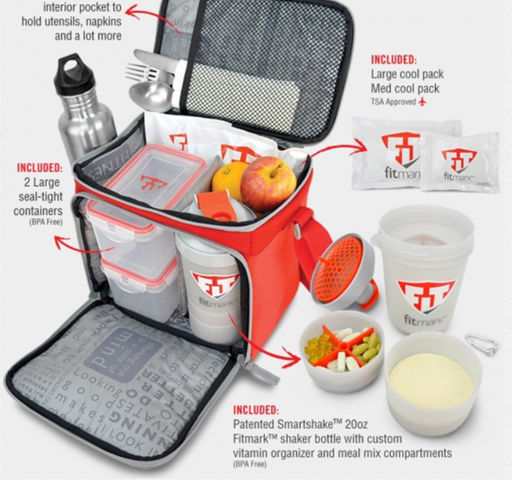 I would recommend this to anyone who packs multiple meals to eat at the office or on the go. Want to learn more about Fitmark? You can find them on Facebook, Twitter, Instagram, Pinterest, and (of course) their website. Want to win a #nicebag of your own? One lucky winner will get their own BOX to make packing your lunch a little bit easier. You get to pick the color and Fitmark will supply the bag. I can’t wait for you to try this – I know you’re going to love it as much as I do. Good luck! Open to all US residents.